Aspiring inventor Dane Christianson has crafted a mutant Rubik's Cube with a 3-D printer. 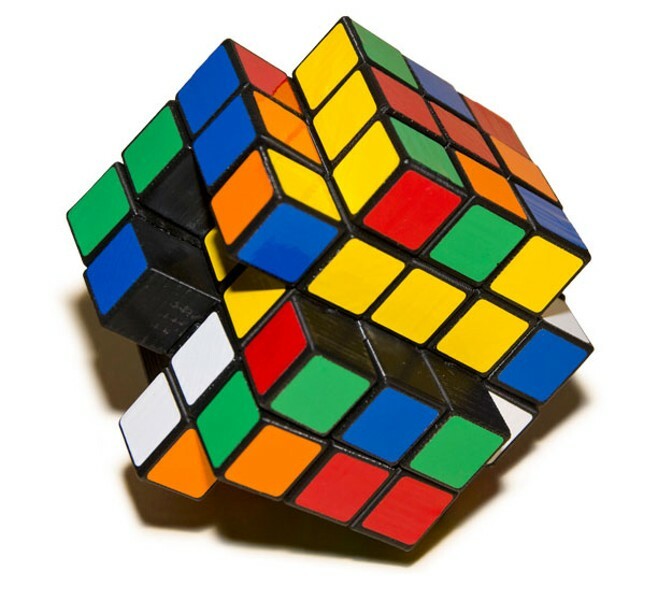 Solving a Rubik's Cube can be frustrating—and sometimes fascinating. While riding the el last month, 20-year-old Illinois Institute of Technology student Dane Christianson fiddled with his own version of the classic puzzle, which he's deemed the "X-Cube." Passengers swarmed him with questions, took pictures and videos, and even gave the X-Cube a try—but thus far, only Christianson can solve it. "That train ride was actually a publicity stunt," says Christianson. "I wanted to see people's reactions. I had no destination, and I ended up staying on the train longer than I thought I would." Christianson solved the Rubik's Cube three-by-three-by-three model in 27 seconds in seventh grade and handcrafted a three-by-three-by-five model in high school. When handcrafting proved inefficient, he waited until his sophomore year at IIT to design and produce the modern-day X-Cube using 3-D printing technology. The X-cube shape-shifts. When solved, it forms an "X" shape and has same-colored sides. In December, a video posted to Reddit of Christianson solving the X-Cube gained over one million views. He began a Kickstarter campaign in June that raised more than $50,000 within a month—exceeding the initial goal of $30,000. Initial plans for mass production—which he expects to begin by February 2014—involve deals with Marbles: The Brain Store and a Hong Kong-based manufacturer. He also sent samples to Toys R Us and a Dubai-based retailer. Ultimately, Christianson has a greater goal in mind: "I hope to inspire more interest in puzzle building," he says. "3-D printing is an amazing technology, and I hope more people take their own spin on classic puzzles."